The tires he was referring to are made of a very soft rubber compound, which means they really stick to the road, as does a large portion of the rubber compound they are made of, resulting in a 20,000-mile life. This is actually not a shock. The vaunted GT Mustangs of the Eighties and early Nineties came equipped with Goodyear Eagle GT’s, which gave them great handling for an overpowered rear-wheel-drive sled, but 20-25,000 miles was the tire life. 15,000 if you did a lot of burnouts. The BMW X5 series sport utilities are coming in at 2 years old, with 25,000 miles and 4 bald tires. At least they wear out evenly. I am not suggesting everyone go out and by a set of Continental Extreme Contacts. They wouldn’t do much for a Honda Pilot or Toyota Camry. Conversely, low-rolling resistance tires like the Goodyear Fuel Max tires do not belong on an Audi A6. A tire can be the right size and have the right ratings and still be totally wrong for the vehicle. That’s why it pays to deal with someone who not only knows tires, but knows cars and trucks, and knows you and what kind of driving you do – and what your expectations are. Only then can we select the right tire for you. A: NO! Keep in mind that auto manufacturers don’t make tires. Anyone who has bought a new car and taken time to review everything in the packet knows the tire information and warranty is in a separate packet. When a car is built, most of the hard costs are built into them. Engine blocks, frames, transmissions, and electronics cannot be altered, but tires and batteries come from outside vendors after the fact. So when a manufacturer needs to boost profit margin or at least reduce costs, these items are the first target. If an adequate tire can be used in place of a good tire and will provide 3 years/36,000 miles of service, it will be done. If they save $25 per tire, $100 per car over 300,000 units, that’s huge! And often the original-equipment tires are not easily available even from the dealer. Many a hapless soul has limped into Wiygul Automotive Clinic in a brand new car with a ruined tire. We make herculean efforts, but often cannot get the tire for 2 to 3 days or more. Wiygul Automotive Clinic is now not only a Goodyear dealer, but also a member of the Tire Pros network. So not only do we have access to the full Goodyear line (Goodyear, Dunlop and Kelly), but also the full Continental line (Continental and General). And through our partner warehouses (very local), we can get almost any kind of car, light truck, or SUV tire you could want. We know the tire business is highly competitive, and we will work hard to keep your tire business. But one thing we won’t do is sell you an inadequate tire, and there are a lot of them out there, particularly from China. A knowledgeable tire rep was in the shop last week and he warned us to stay away from tires manufactured in China, because they won’t stop when it’s wet! My hair stood up because I remember test-driving a car recently. It was a favor for a friend, and I remember coming up on stopped traffic in the rain and hitting the brakes hard, but certainly not a panic stop. The car just slid along. My reflexes, dulled from years of antilock brakes and traction control, took a second to respond and start pumping the brakes. I stopped safely but rechecked the car. Other than the fact that it was built in 2004 and had no ABS, I saw no problem. The tires were fairly new with good tread. I have since found out the tires were made in China. Evidently what gives tires good traction when it’s wet is high silica content. Silica itself is fairly cheap (basically sand), but the process of getting it into the rubber of a tire, evenly distributed, is costly and time consuming, so the unscrupulous manufacturers just don’t bother. 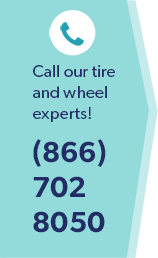 At Wiygul Automotive Clinic we sell top-quality tires, and our experienced staff has the knowledge and expertise to advise you on your purchase.